The archival materials in this collection explore the varied ways in which Norman Foster's architecture has related to the natural landscape. While Foster gained early notoriety for so-called 'high-tech' buildings such as the Renault Centre and Hongkong and Shanghai Bank Headquarters, the architectural projects gathered in this collection highlight a persisting interest in the natural landscape, present from his earliest commissions. While technology and landscape are often framed against opposite poles of the architectural imagination, projects such as the aircraft-inspired Sainsbury Centre and its Crescent Wing expansion suggest the ways in which Norman Foster's projects have united the two. In the initial process drawings for the Retreat at Pill Creek, an imposing cube appears on the crest of a hill with a glass frame looking down onto the slope below. 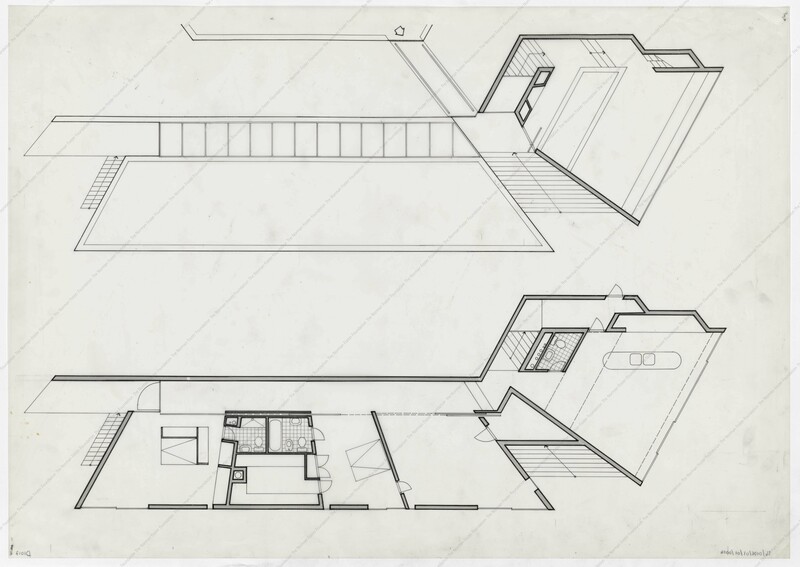 The Retreat, as built, is distinguished by its departure from almost all that this initial sketch evokes: a modernist box with a glass frame onto its surroundings. Instead, the Retreat developed in later sections takes the slope toward the water as an opportunity to merge architecture with the ground itself. Designed as a small, self-contained space that compliments the Creek Vean House, the Retreat at Pill Creek embeds itself in the hill and creates a panoramic enclosure from which to take in the coast and sailboats below. 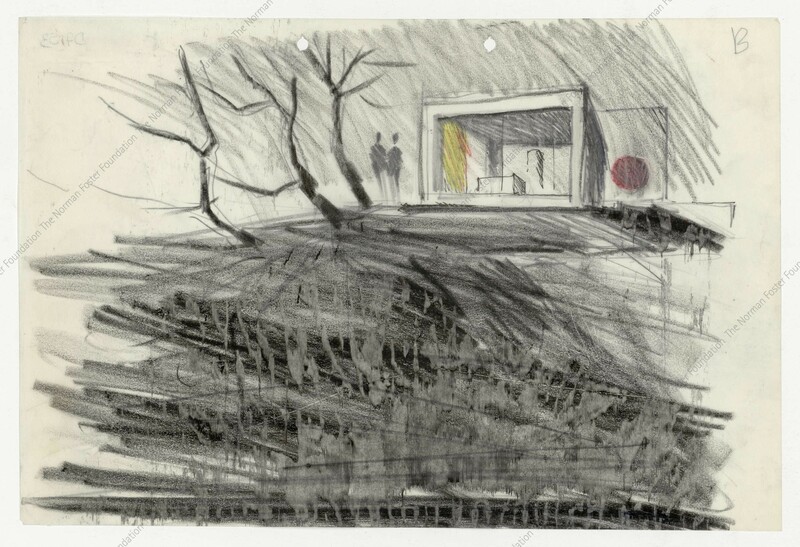 The perspectival sketches from inside the Retreat conjure what Foster has described as a delicate balance between immersion into sky and water and a sense of shelter and comfort achieved by nesting the building in the terrain. As the first project completed by Team 4, the first architectural studio formed by Norman Foster, Wendy Foster, Su Rogers, and Richard Rogers, the Retreat serves as a useful frame of reference for the ways in which future projects would take intimate, site-specific approaches to designing with landscape. The Retreat's other name, 'The 'Cockpit' further alludes to the way in which Foster's technical and machine-based fascinations find a creative union with the natural. The Retreat's scale and intimate relationship with landscape become all the more significant when considered in the context of the megastructure-inspired works that coloured Foster's education at Yale just two years before. The Retreat's compliment, The House at Creek Vean also takes the hill as a starting point for form and programmatic organisation. The plans for the House demonstrate the way in which the staircase descending to the boathouse and water below form a fundamental outdoor axis that intersects with the main internal axis of the house. With the roof and external stair path planted with flowers and greenery, the exterior of the house seen in the West Elevation appears on the hill like a terraced garden while the interior takes advantage of this siting to create major floor-to-ceiling glass vistas from almost every room. The process drawing for the expansion of the original Sainsbury Centre, created almost thirty years after the Retreat and House at Creek Vean demonstrates a similar approach to integrating structure and landscape. 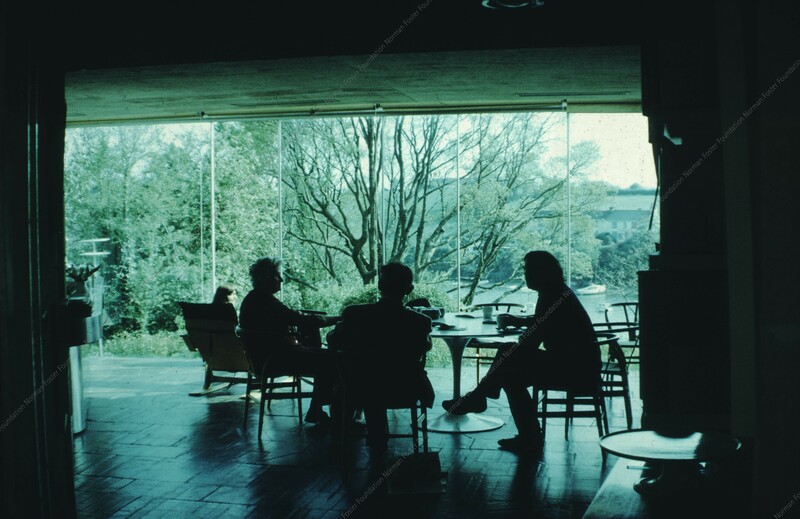 The hill surrounding the Sainsbury Centre is taken as an opportunity to locate light-sensitive conservation workshops underground between the main structure and a new crescent-shaped band of glazed glass which emerges out of the ground onto views of the lake below. The perspective drawing for a flexible resort on La Gomera immediately evokes the sections of the earlier embedded homes of Team 4. In order to avoiding the high-rise hotel towers that had begun to crowd the coast of the Canary Islands, the process drawing imagines a stepped low-rise development of vernacular terra-cotta roofs that mirror the slope towards the ocean. In addition to these continued formal connections, the commission to create a regional planning strategy for La Gomera required a new holistic consideration of landscape as related to the less tangible social, political, and economic forces shaping the island. 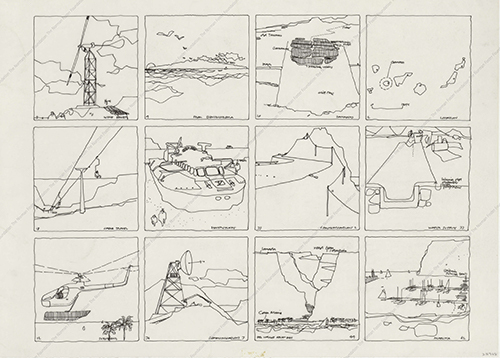 Birkin Howard's thumbnail sketches, which feature windmills and irrigation ditches, speak to the way in which the project aimed to use sensitive development as an effort to restore a landscape suffering from the climatic consequences of centuries of deforestation. Solar stills for desalination, composting toilets, solar panels for hot water, and rain gardens are just some of the green infrastructural components that this project considered in the early 1970s. 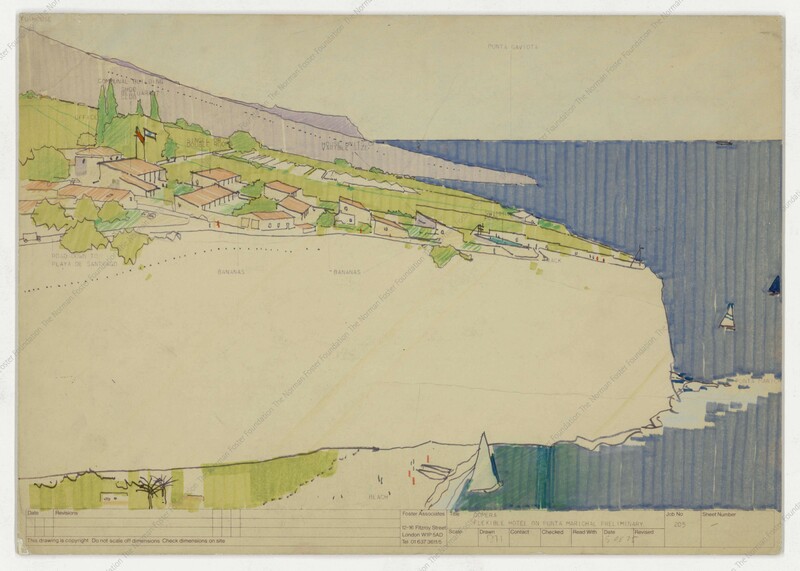 In addition to reacting to the terrain and materiality of the Canary Island's vernacular architecture, the unrealised plan for La Gomera also demonstrates an interest in investigating the role of the architect in shaping the relationship to landscape outside of the limits of built form. As the first of a series of ecological high-rises completed by Norman Foster, the Commerzbank Tower suggests the possibilities of cultivating a relationship between users and landscape in an urban context. Away from the obvious appeal of a bucolic, rural landscape, the Commerzbank Tower creates a workplace in which each office receives natural daylighting either from the building's exterior or a central atrium. 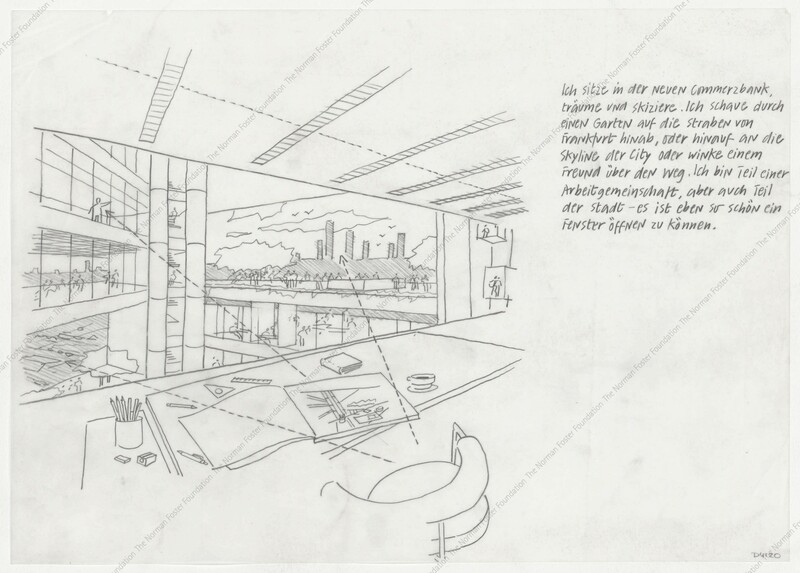 As suggested in the perspective drawing from a worker's desk, the triangular plan and alternating four story gardens create a space in which workers in one of Europe's tallest skyscrapers are connected to both the built environment of Frankfurt and the building's gardens. With careful attention to planting species according to the light exposure of their particular garden atrium, the Commerzbank creates a new hybrid landscape that combines greenery with the skyline beyond.